got craft? :: top picks! 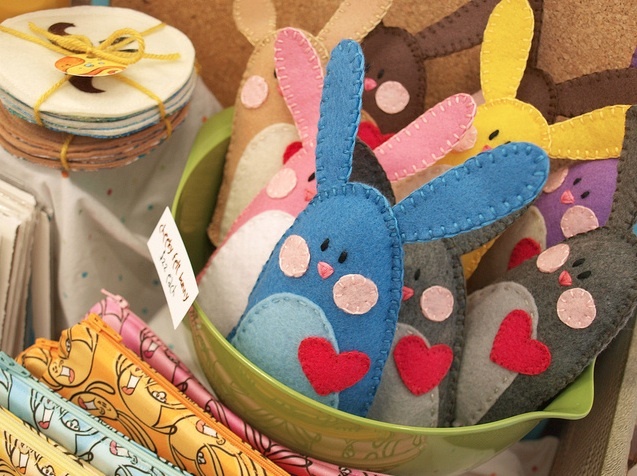 Join us in celebrating our 10th year at the Got Craft? Spring Edition taking place this weekend! 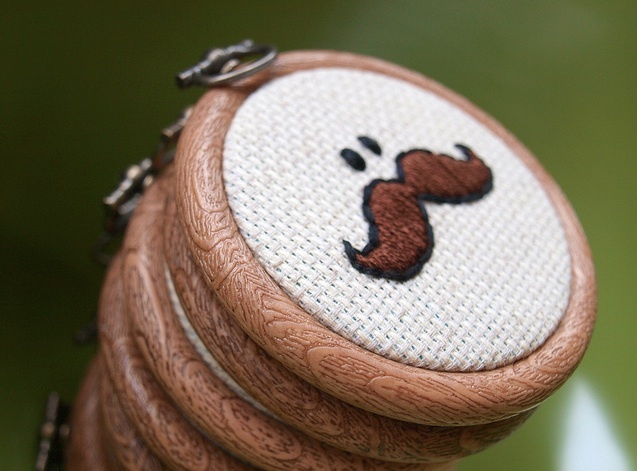 El Patcha Embroidery will be at Got Craft? for the first time this spring with a DIY workshop! Learn how to embroider your own patches by choosing a design from Jackie’s NEW flash sheets or create a custom piece. Check the post below for a swag sneak peek and to see the new 10th Anniversary Special Edition tote bag. Be one of the first 50 people through the doors each day to receive a FREE swag bag. Save 40% by purchasing tickets online here. Offer ends May 5th. Free parking available at the Lonsdale Quay Market parkade and ICBC parkade and a 5 minute walk from the SeaBus Terminal and Translink Bus Loop. For a map and more details, please visit our event page here. Come learn all the tips and tricks you need to be a master patch maker with El Patcha embroidery. She will teach you all the steps to make a patch you’ll be proud to show off on your favourite jean jacket! 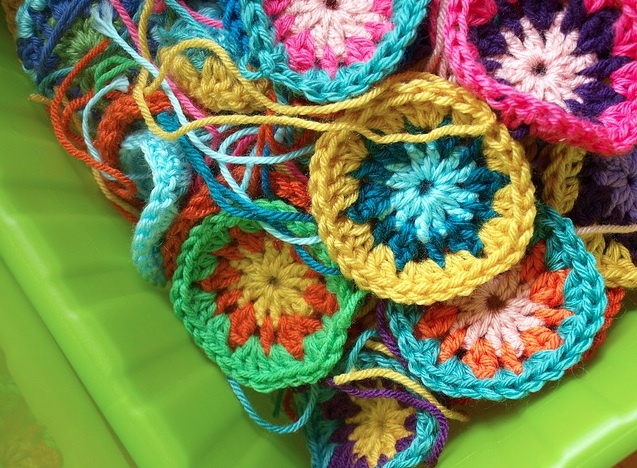 No previous experience is necessary, all skill levels are encouraged to come and do their thing via needle and thread. All materials will be provided including an embroidery starter kit in a hand sewn canvas pouch – kit includes, embroidery scissors, felt, transfer pencil, and embroidery needles. Some flash style sheets with be provided for tracing, or come with a picture or just an idea! Cost: $40.00 plus tax // REGISTER online here or at London Fields Shoppe between 11-4pm Wednesday to Sunday. Join DIY author Leanne Prain for a drop-in workshop at Got Craft? 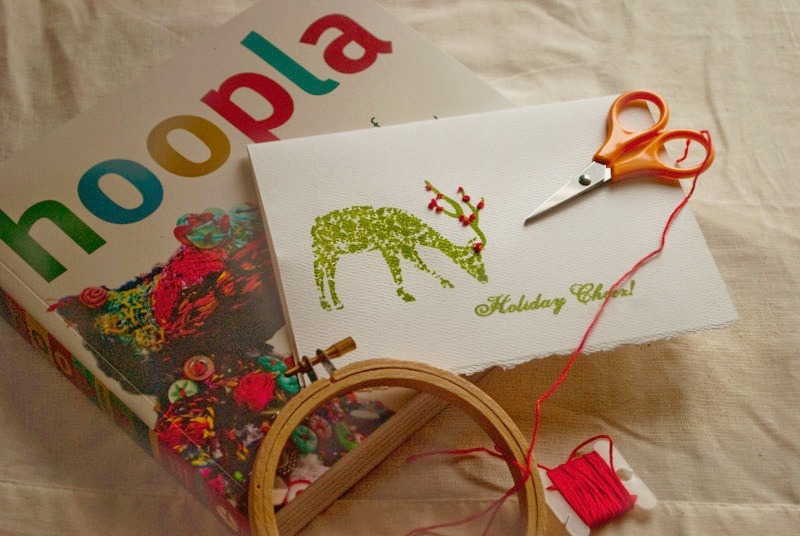 on Saturday, December 8th and Sunday, December 9th from 10:00am to noon, and learn how to embroidery on card stock. 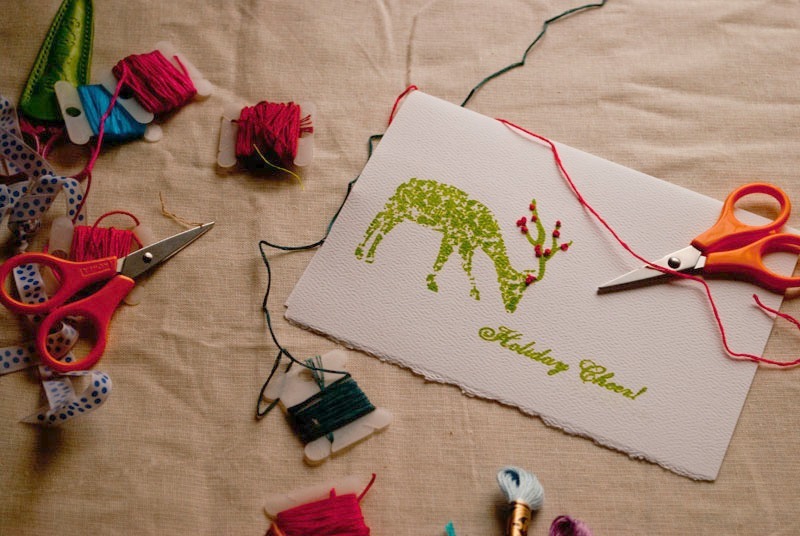 Using a screen-printed postcard as a foundation, embellish your own unique seasonal postcard with a variety of stitches. Using a needle and thread as a drawing medium, participants will be asked to enhance the existing printed design with their own creative expression. 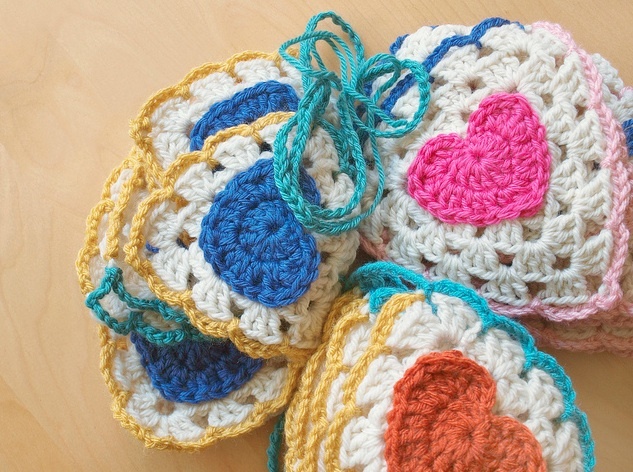 With this project, there is no right or wrong method or stitch pattern. Anything goes! 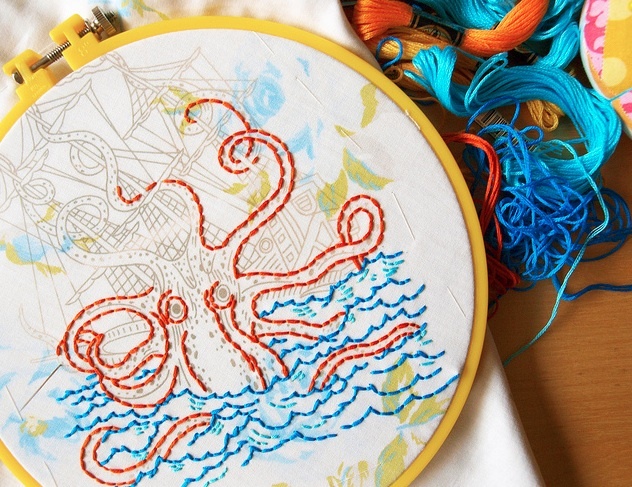 Leanne will demonstrate embroidery stitches that can be use for outlines and drawing, as well as decorative stitches. 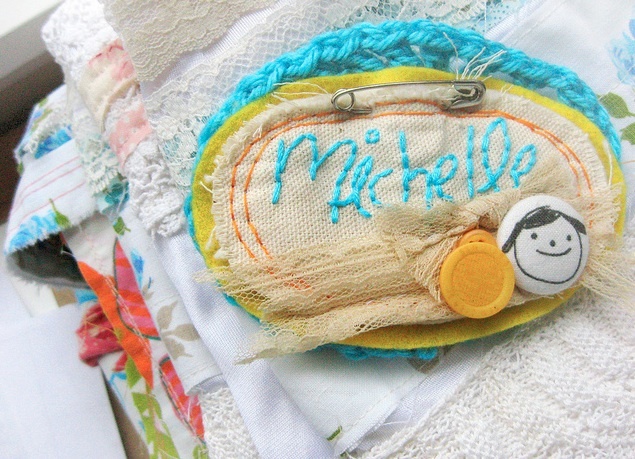 Participants can experiment with the running stitch, stars, scallops, or French knots to their projects. Create your own one of a kind keepsake, or a seasonal card to send to someone special. Leanne Prain will also be on-site signing books between 1:00pm to 2:00pm on both days. Books will be available for purchase at the merchandise table by the main entrance or bring your own copy! I make cute illustrated paper goods for my shop, Bubbly Shnooks, and am currently expanding my line to include crocheted goodies, soft dolls, and accessories. I also design a line of scrapbook paper for Sassafras Lass, as well as work in the local Vancouver animation industry as my ‘day job’, as well as making a lot of crafts just for fun: I love to scrapbook, embroider, sew, cross-stitch, and am currently addicted to crocheting! I’m really inspired by artists, crafters, and illustrators who have made their own little thriving indie businesses! Artists like Elsie Flannigan of Red Velvet Art, Susie Ghahremani of BoyGirlParty, and Emily Martin of The Black Apple, for example – those who make their own unique and adorable goodies and have remarkable branding & a smart sense for all things indie bizz. Chasing dreams really inspires me! I started scrapbooking when I was 12 at a beginner’s class with my mom, and everything’s kind of stemmed from there! (I’ve been sewing and drawing and journaling for as long as I can remember, too, of course). I got really into scrapbook products and goodies about 4-5 years back, and my love of drawing led me to doodle my own scrapbook paper tags, which then led to also making cards and art prints, and it’s grown out from there. The collage-inspired way I scrapbook has now also led me to designing lines of paper – where I use every crafty technique in my arsenal, from embroidery to dying paper to drawing to sewing. It all started with paper and has grown into a creative outlet that comes out in a wealth of forms! I love to work with heavy cardstock and walnut ink (a natural brown dye that ages paper in a lovely way). I’m also partial to my trusty HB pencil and plain old white paper for drawings, and Photoshop is vital for everything! Fabric is also a favorite – especially neutrals that I can dye and scrunch and make my own. I’ve also always been really into the mix of aged vintage & bright colors, so thrift shops inspire me, as does the magazine aisle at a big book store. Scrapbook galleries, numerous crafty blogs, children’s book illustrations, and artists like Mary Blair, Dr. Suess, and Edward Gorey have my heart. Calgary’s own amazing ‘Uppercase Magazine’ is also an amazing resource! I find inspiration everywhere, really. The world around me inspires! I would say that the most important thing when you’re creating anything or opening a shop is to make what you want to make and stay true to yourself, not to make something because it’s popular right now or that it’s what everybody else is doing. It can be discouraging at first, sometimes, feeling like you’re a black sheep of sorts, but once you spread the word and find your niche, you’ll be glad you stuck with something unique that you love to do. You’ll find that other people will love that about it, to! Oh, this is a toughie. I’ve bantered over it with art school folk a few times, because it’s such a blurred line, now. I would like to say I’m a ‘maker’ – lol – aka, a crafter & artist all rolled into one. I think today that craft & art have joined forces – crafts are just as beautiful and inspiring during this handmade movement as art, is, to me.